Getting around High Wycombe can sometimes be a hassle. While public transport is available, riding a scooter provides an easy shuttle option around town. This article looks at some benefits of owning a scooter in High Wycombe and why you should choose one of ours. Parking: Small in size, scooters fit into small spaces so you can park them almost anywhere. This helps you reduce spending on parking. Faster in Traffic: Travelling in the traffic of the city is faster when riding a scooter because scooters are easy to manoeuvre through small gaps in traffic. Price: Scooters are also cheaper than cars. Their parts are also very affordable, so maintenance won’t be a problem. Fuel Economy: By riding a scooter in High Wycombe, you can savemore money because scooters can last for weeks before they need refilling. Price: Our scooters are incredibly cheaper than those of the dealerships in the town. 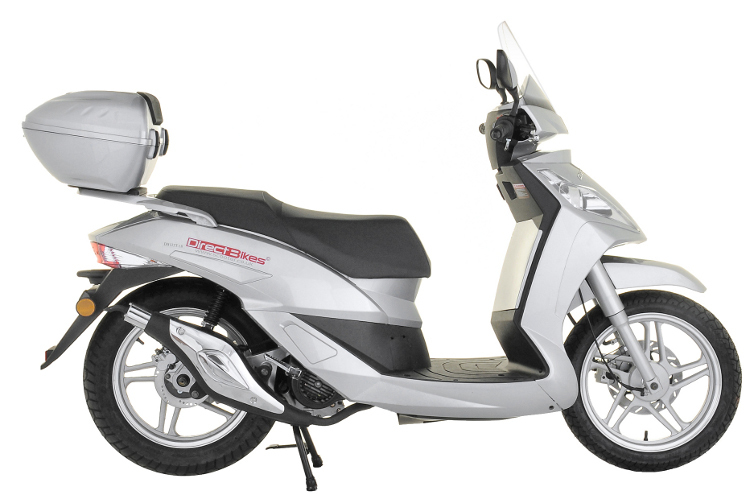 You can get one of our 125cc or 50cc scooters for as low as £999 - £1099. Finance Options: If you cannot pay at once, we offer different finance options that enable you to pay in instalments. Design: We have a variety of designs, soyou’ll certainly find one that suits you. You can also opt to customise the colour of your scooter. Insurance: We also help you find the cheapest insurance policy by getting quotes from the top insurers in the country. Although we have no dealerships in High Wycombe, we can deliver your scooter to any location in the town. All you have to do is fill in your delivery information, and you’ll get your scooter. Browse our range of 50ccs and 125ccs, pick one that catches your fancy and cruise the streets of High Wycombe today!